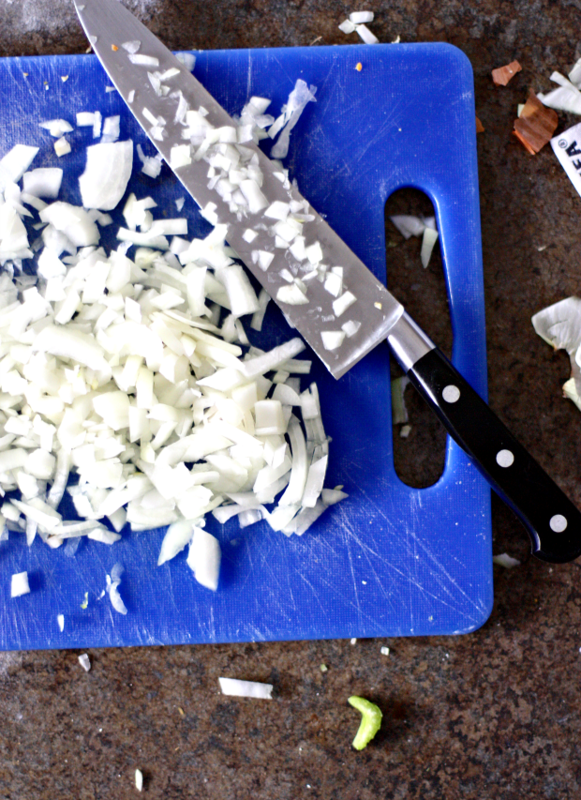 Did you know you can freeze onions? I came upon this kitchen hack accidentally one night while cooking dinner. After I made dinner I had half an onion left over I didn’t want to throw out, so I hurriedly chopped it up and stashed it in a Ziploc bag in the freezer. I had no idea if it would keep or not, but it didn’t hurt to give it a shot. The next time I made dinner and needed some chopped onions, I grabbed the bag of onions from the freezer and added it straight to the pan. The onions weren’t watery or mushy, and they cooked up like champs. Now when I cook dinner and have a little extra time, I always chop the full onion and put at least half of it in a Ziploc bag to use later. 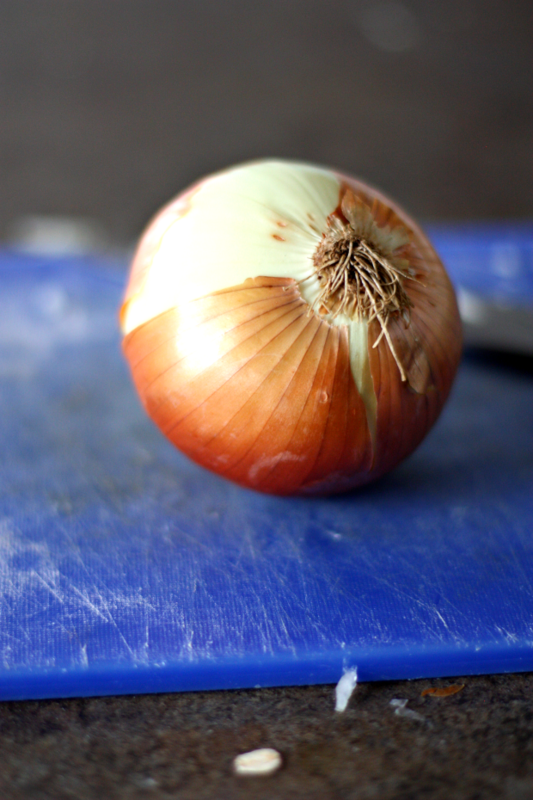 It’s such a time-saver on busy nights when I’m in a hurry to get dinner on the table and need some onions for the recipe, and I never have to throw out old onions. Win, win, win, winnnnning. Too many wins? Nah. So how does this freezing onions business go? Well, it’s the easiest kitchen tip of all time. Check out the full details below. 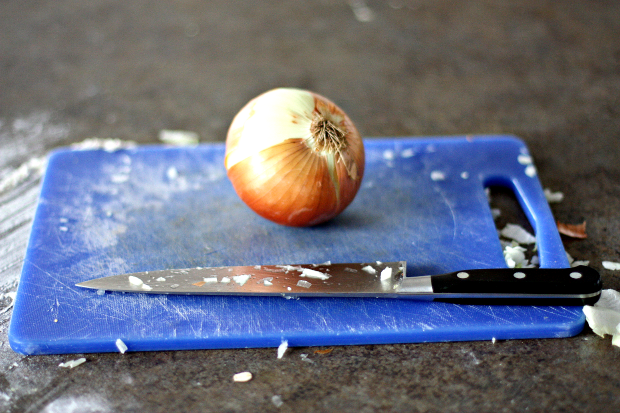 Wash your onion, and chop it up until completely diced into small pieces. 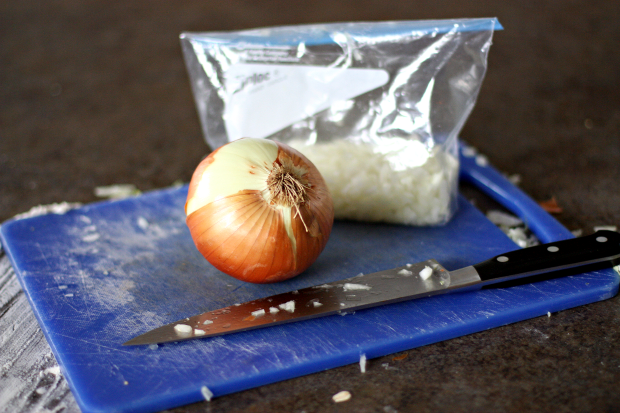 Using your chopping knife, scrape the chopped onion into a quart Ziploc freezer bag. Store flat in the freezer until ready to use. That’s it! The whole enchilada. 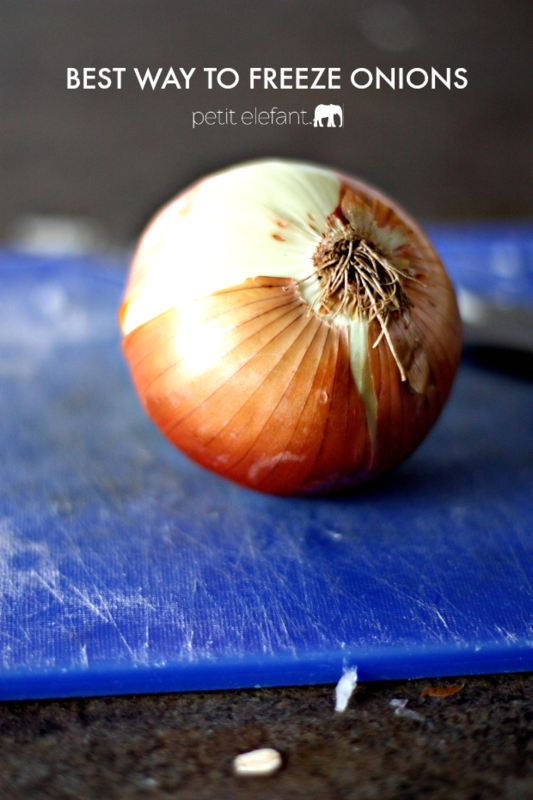 The chopped + frozen onions will keep for at least a few months. What awesome kitchen tips do you have to share? Do you regularly use kitchen hacks to streamline your cooking life? Having dinner together as a family is such a priority for me, and I’ll admit, all the little shortcuts I’ve found make such a difference in getting dinner on the table every night. I’d love to hear what you do to make your life easier, and if you’ve ever used this trick to freeze onions! I’ve been doing this for years – except after I chop the onion up, I put the pieces in a baking dish (like a brownie pan) and freeze them that way. Then, after they’re frozen (maybe 24 hours or less?) I scrape them into a ziploc bag. That way, you can use as much or as little as you’d like and they’re not frozen in a solid block. So good to know! I was just asking someone the other day if onions could be frozen or not!